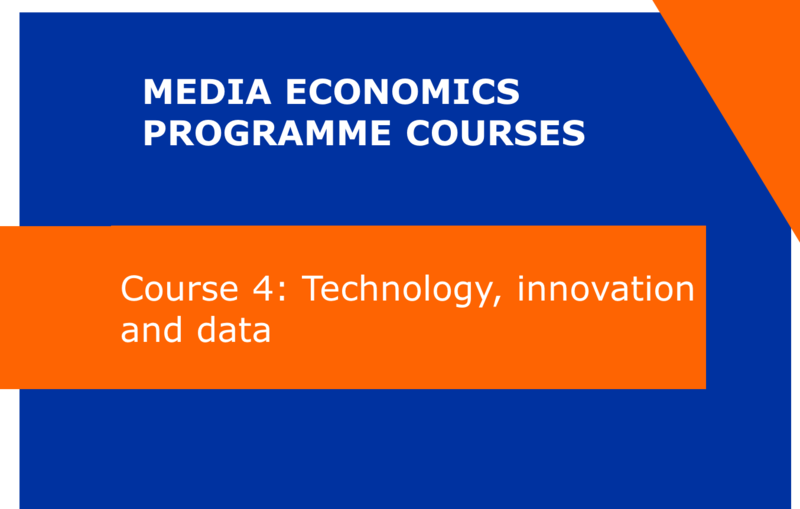 Course 4 sheds light on the interplay between recent and upcoming technological evolutions and their (possible) influence on the media industry. As the media industry takes time to catch up with technological innovations, more profound insights on phenomena like big data, internet-of-things, virtual reality and blockchain and their underlying technological building blocks are necessary. Course 4 is an elective course for participants of the full Postgraduate programme. Acquire knowledge on recent and upcoming technological evolutions that might impact the media industry. Acquire knowledge on phenomena like big data, internet-of-things, virtual reality and blockchain and their underlying technological building blocks. Provide insights and best practices on how to adopt innovation as a mindset in day-to-day operations. Provide insights and best practices on how to capture the value of data and steer algorithms.